The Shocking Truth About the Research Behind Green Coffee Bean! First published Feb 18, 2017. A green coffee bean is just an ordinary unripe coffee bean that has not been roasted, yet a walk around any health food shop or a browse online will reveal countless supplements containing this so-called miracle ingredient. According to diet pill marketing, Green Coffee Bean Extract (GCBE) is a powerful fat burner that will help you lose weight without dangerous side effects. This is due to the chlorogenic acid contained in unroasted coffee beans that supposedly helps you burn fat without making changes to diet and exercise. It is supposed to be healthy too. GCBE is supposedly a source of antioxidants and comes with a safe and natural image, similar to Green Tea. It has been featured on the Dr Oz show – where the doctor called it a “miracle in a bottle”. Following this high profile exposure, there has been an explosion in the number of green coffee bean supplements hitting the market and the claims about it seemed reliable. Millions of people have turned to GCBE diet pills and supplements in the belief that this ingredient is effective and safe. Green coffee bean extract has after all been clinically proven to work effectively. According to the clinical investigation, you can expect to lose 17.7 pounds, 10.5 percent of body weight, and 16 percent of body fat with or without diet and exercise, in 22 weeks! According to the advertising hype, GCBE comes backed with clinically proven evidence that it will help you burn off fat, improve your energy levels and help you lose weight without making changes to lifestyle. We all love a miracle cure so it is disappointing therefore that it turns out that all the scientific evidence is flawed and that the people behind the claims have been fined millions of dollars by the Federal Trade Commission. Back in 2010, a Texan company called Applied Food Sciences Inc paid researchers in India to carry out a clinical trial on overweight people to determine whether green coffee bean extract reduced body fat and weight. A clinical trial should be unbiased but it seems that in this case the Indian Research team were either inept or just wanted to provide some positive results for the people paying them. The lead investigator repeatedly altered the figures and the results of the clinical investigation. The research team changed the weights and other vital measurements. The length of the trial was changed, the placebo group and the group taking the supplement were mixed up. In short, the entire clinical investigation was a total shambles. Somewhere out of this mess, the conclusion was that green coffee bean extract is effective for weight loss, despite the fact that there’s no real evidence to prove it. Following this so-called clinical trial, unsurprisingly the investigating team were unable to get their findings published as a paper. AFS took the step of having all the data sent to the USA where they hired two researchers, Joe Vinson and Bryan Burnham at the University of Scranton to rewrite it and make it respectable. Despite the fact that many of the findings were inconsistent and the trial was obviously full of conflicting findings, Burnham and Vinson did not verify the authenticity of the evidence but simply rewrote the clinical evidence as requested. The result was that we now had a well written scientific clinical paper that seemed to prove that GCBE could help you lose weight but was actually based on flawed evidence. 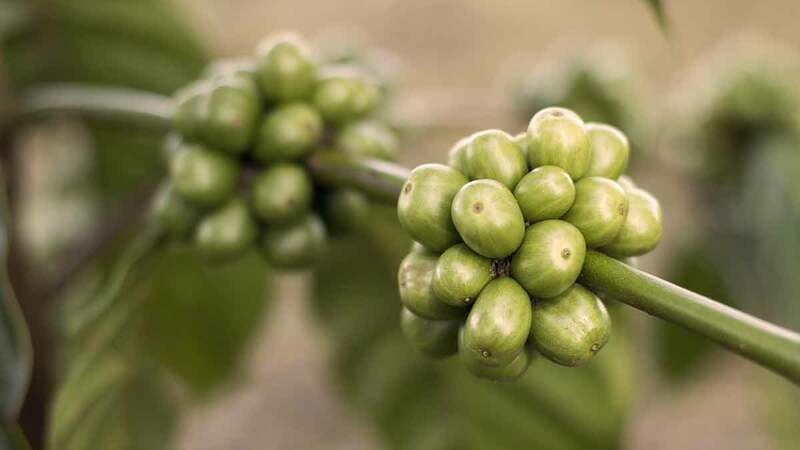 The FTC who are attempting to tighten up on unproven supplements began to look into the claims around Green Coffee Bean Extract and in particular the so-called clinical evidence that supported it. In 2012 Green coffee bean extract was picked up by the popular Dr Oz TV show. This primetime TV show is influential in America and Dr Oz ( who really is a doctor) called it miracle weight loss in a bottle and other glowing terms. He took the scientific evidence and the paper that proved its efficacy at face value and passed on this dodgy information to his audience of millions. It sounded great! He even carried out his own experiment on his audience in which 100 women were given either a placebo or a green coffee bean supplement. According to the show’s researchers, the participants taking the GCBE lost on average 2lbs in two weeks whereas the placebo group lost only 1lb. What is interesting here as a side issue, is that the placebo group actually lost weight in the belief they were taking a supplement. However, what we must ask ourselves, is taking a supplement that only results in 2lbs over two weeks really worth it? According to the Oz team it was and seemed to prove that this ingredient worked. Following exposure on the TV show, sales of GCBE went through the roof and AFS were quick to feature clips of the Dr Oz endorsement as a major part of their advertising. AFS did not approach Dr Oz to ask him to feature Green Coffee bean extract on his show but it could not have worked out better for them. Later Dr Oz was to try and sue AFS and various other companies for their use of his name. Dr Oz’s Side Kick Dr Lindsay Duncan. Snake Oil Salesman? When GCBE first featured on the Dr Oz show, the co-host was Dr Robert Lindsay Duncan a naturopathic doctor, nutritionist and self-proclaimed medical expert. Unlike Dr Oz, Dr Duncan is not actually a real doctor. Instead he has gained a mail order degree in naturopathy from an uncredited college and he appears on TV promoting various nutritional supplements. In many US states including Texas where naturopathic doctors are not recognised, he does not have the legal authority to call himself a doctor. Texas Attorney General Greg Abbott charged Robert Lindsey Duncan who is an Austin resident, with unlawfully referring to himself as a naturopathic doctor in order to market and sell various nutritional products. We do not know whether Robert Lindsay Duncan has any interest in other Texan company AFS, the company behind the Green Coffee Bean Extract trials. However, Lindsay Duncan was quick to market his own Green Coffee Bean extract supplement based on the AFS research and the advertising on the Dr Oz show that he helped create. The State is seeking a permanent injunction against Duncan and civil penalties of up to $20,000 for each violation of the Texas Deceptive Trade Practices Act and the Texas Education Code. In the light of the investigation by the Federal Trade Commission, the two Scranton researchers Burnham and Vinson retracted their work on the Green Coffee Bean Extract trial. Their conclusion that “GCBE may be an effective nutraceutical in reducing weight in pre-obese adults, and may be an inexpensive means of preventing obesity in overweight adults” is no longer proven. the study was so hopelessly flawed that no reliable conclusions could be drawn from it. …that the study’s lead investigator repeatedly altered the weights and other key measurements of the subjects, changed the length of the trial, and misstated which subjects were taking the placebo or GCBE during the trial. In 2014 the FTC charged Applied Food Sciences with using the results of a flawed study to make baseless weight-loss claims about its green coffee extract to retailers, who repeated those claims in marketing finished products to consumers. The company was fined $3.5 million. AFS are now required to have scientific substantiation for any future weight loss claims based on at least two well-controlled human trials. Where Does Dr Oz Fit In? Dr Oz did not escape unscathed from the scandal. He had to face a Senate enquiry where he was lambasted by Senator Claire McCaskill for making unproven claims about weight loss supplements. He was accused of peddling bogus drugs and was cautioned by lawmakers to tone down his act. He has claimed that he himself has never received a cent from any diet pill endorsement and has complained that his good name and image has been used without his permission. A quick look online will show that he is right. Countless diet pill companies are still using excerpts from his show that feature him enthusiastically proclaiming Green coffee bean extract as a miracle weight loss cure. One company – the makers behind a supplement called Pure Green Coffee have also been sued by the FTC for making bogus claims and deceiving customers. This company used the dodgy material from the so-called clinically proven tests carried out by the Indian research company (assisted by Burnham and Vinson) to market their products. The FTC is tightening up on dodgy unsubstantiated supplements but it appears they have an uphill task ahead of them. So Is There Any Truth To The Claims About Green Coffee Bean Extract? There have been some independent clinical trials into Green Coffee Bean Extract. The reputation of this ingredient has been tarnished by the flawed clinical trials carried out by AFS but it is possible that it still may be effective for weight loss. In an analysis of other random clinical trials (paid for by Smith Glaxo Kline) the conclusion was that this ingredient needs more stringent testing under tighter controls to assess whether or not it works. This has not yet happened. The overall conclusion appears to be that Green Coffee Bean Extract may have a beneficial effect upon weight loss. It may help the absorption and the utilization of glucose from the diet which in turn may lead to a reduction of body mass. However before we go out an buy it there are several points to consider. Most notably that the size of the effect is very small and that this ingredient has not actually been proven that it works on humans. There has been animal testing but to date only one other human trial which did see some minimal effect upon weight loss but by is no means yet proven. 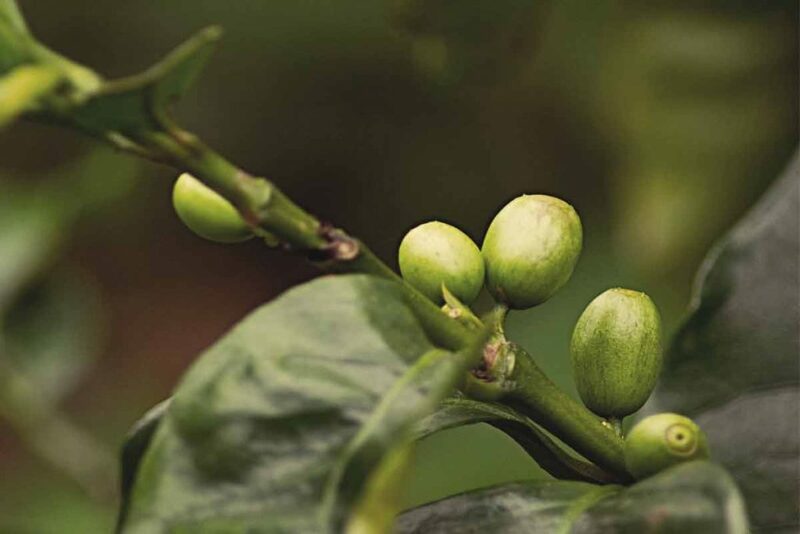 Conclusion – Green Coffee Bean Research Credible? Green Coffee Bean Extract has been overhyped by marketers who have been fined for making false claims. It has been the subject of some shockingly flawed clinical testing that seemed to prove that it was “clinically proven to work” whereas in fact the figures were manipulated. Millions of dollars have been spent on Green coffee supplements by people who have paid out good money based on this fake clinical evidence. Green Coffee Bean has been the subject of an FTC court case and Dr Oz has had to face the Senate to answer for his questionable and foolhardy endorsement of unproven ingredients. The truth is that despite all the controversy, there is just no evidence that it works or that it does not work. Green Coffee Bean Extract may one day be proven to help weight loss but that day has not yet come. With the vast amounts of money to be made within the supplements industry it seems that sometimes things are not always as they seem. Clinical evidence and the phrase “clinically proven” can sometimes be used as nothing more than advertising slogans and when it comes to buying diet pills, customers need to beware of fake evidence. Green Coffee Bean Extract has been overhyped and requires much more reliable science in order to prove that it really works. Time and clinical evidence may one day show that this is an effective ingredient but until proper scientific clinical trials have been carried out, it is probably best to avoid it.